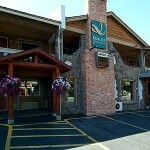 49er Inn and Suites is not available for online booking. Please submit an inquiry or call our agents to get pricing and availability information. 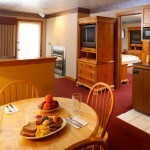 The Quality Inn & Suites® 49'er is ideally located within walking distance to Town Square. 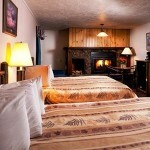 The hotel is convenient to Grand Teton National Park, Yellowstone National Park and other local attractions. 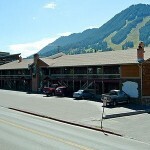 Skiers will be in paradise at the three nearby ski areas: Jackson Hole Mountain Resort, Grand Targhee Resortand Snow King Resort. Rise and shine every morning to a free deluxe continental breakfast and free coffee, served daily. Relax and revive in either of the two hot tubs and the soothing sauna. 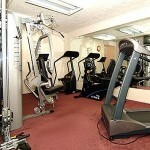 Be sure to take advantage of the state-of-the-art fitness room. Business travelers will appreciate access to a computer with free high-speed wireless Internet access, the available meeting room and fax machine. 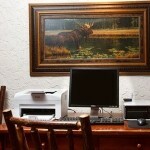 All rooms come equipped with refrigerators, coffee makers, hair dryers, irons and ironing boards. 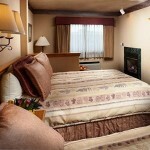 In addition, select rooms featuremicrowaves, fireplaces and whirlpool bathtubs. Hot tub suites are also available. 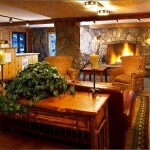 This Jackson hotel also provides non-smoking and handicap accessible rooms upon request. 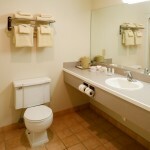 The Quality Inn & Suites 49'er offers all the amenities you would expect to find in a big city but with hometown hospitality. Stay with us and enjoy the time of your life. Hotel Room This double queen bedroom is spacious and comes with a flat screen television, telephone, complimentary wireless internet and sleeps up to 4 people. Studio Suite These spacious suites also have two queen size beds, flat screen television, telephone, and complimentary wireless internet as well as a refrigerator, wetbar and microwave and sleep up to 4 people. 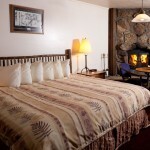 Family Fireplace Rooms This room comes equipped with 2 queen sized beds, sofabed, moss rock fireplace, refrigerator, microwave, coffee maker, television, telephones, and complimentary wireless internet and sleeps up to 5. King Fireplace Room This room has a king sized bed, refrigerator, moss rock fireplace, complimentary wireless internet and sleeps 2 people. King Fireplace Suite This suite offers a king sized bed, marble framed gas fireplace, sitting area, sofabed, microwave, refrigerator, coffee maker, granite countertops, telephone, complimentary wireless internet and sleeps up to 4. Double Queen Fireplace Suite This suite offers 2 queen sized beds, marble famed gas fireplace, sitting area, sofa sleeper, microwave, refrigerator, coffee maker, granite countertops, telephone, complimentary wireless internet and sleeps up to 5. Luxury Suite This single king suite offers separate living and sleeping areas, Jacuzzi, marble framed gas fireplace, full kitchen, steam shower, granite countertops, knotty pine decor, telephones, complimentary wireless internet and sleeps up to 3 people.